Tony Gwynn, one of the best hitter of all-time, recently passed away at the age of 54. Gwynn played 20 incredible seasons for the San Diego Padres, and became the face of that franchise – and in many ways, the city as a whole. In addition to starring for the Padres, Gwynn also played basketball for San Diego State University and still holds many school records in that sport, as well. Gwynn was as much respected for his personality and attitude as his baseball ability, and his passing has been hard on the baseball community as a whole. Sometimes, baseball fans are too quick to pass around the word ‘great’ when referring to a specific player. In Gwynn’s case, however, it certainly applies. His hitting ability was part natural born talent, part hard work and dedication. He started hitting as soon as he reached the big leagues, and didn’t stop for two decades. He also was a quality defensive outfield and amassed plenty of stolen bases – but his bat is what will always be remembered, and what took him all the way to the Hall of Fame. When you look over the statistics that represent Tony Gwynn’s Major League career, it is hard to decide which numbers stand out most. Of course, a .338 career batting average is hard to ignore. He had a .847 career OPS, which is incredible for someone that was known more for contact hitting than power ability. Also, he hit 135 homeruns and stole 319 bases for the Padres. By any measure, Tony Gwynn is among the best to ever pick up a bat. If there is one line on Tony Gwynn’s stat sheet that stands apart from the rest, it has to be his strikeout numbers. To a baseball fan who is familiar with ‘average’ numbers for hitters in terms of walks and strikeouts, they simply don’t seem like they could be correct. 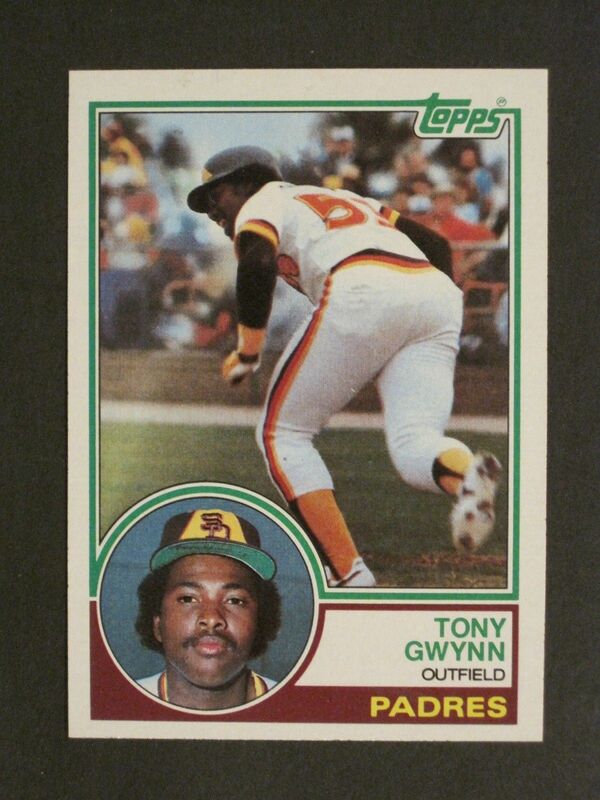 Over a 20 year Major League career, Tony Gwynn struck out a total of 434 times. That averages out to just 29 K’s per 162 games! In today’s game, it isn’t uncommon to see a player strike out 29 times in a single month. In 1995, while winning the batting title with a .368 average, Gwynn struck out a grand total of 15 times. He faced Greg Maddox more than 100 times in his career, and never struck out. The list could go on and on. If you are a baseball memorabilia collector and don’t have Tony Gwynn represented in your collection, now is the time to change that. This isn’t a financially-motivated move – but rather, one that will help your collection better represent modern baseball history. Gwynn is a legendary player, and a collection without him in it just wouldn’t be complete. Take the time to hunt down some great pieces of memorabilia related to ‘Mr. Padre’, and your overall collection will be better for it. Baseball is not caught off-guard when a player makes his way from Cuba and has impressive success early on. There have been a great number of players come from Cuba to make a mark in the Major Leagues. Most recently, the arrival of Yasiel Puig to the Los Angeles Dodgers has dominated the headlines as his play and off the field behavior have both been headline grabbers. With less fanfare, but no less success, comes Jose Abreu to the Chicago White Sox. Abreu is older than some of the other players who have made their way to the states, debuting in his age 27 season as a Major League rookie. That doesn’t mean, however, that his work has been any less impressive. Through the first 44 games of his career, Abreu has already hit 15 home runs and has an OPS of more than .900. No matter what the White Sox expected from the slugger when they initially signed him, his performance on the field has certainly surpassed their hopes. For the first six weeks of the season, he has been nothing but one of the very best hitters in the league. Are there holes in his game? Those looking to criticize the ability of Abreu to keep up his great performance with the White Sox will point to his questionable strikeout and walk numbers as a sign of possible trouble ahead. He has already struck out 50 times, and walked just 10. That isn’t usually a great sign for a hitter, as pitchers continue to try and exploit the holes in their swing and rack up more and more strikeouts along the way. 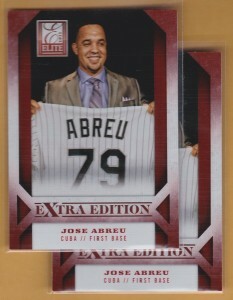 To be sure, Abreu will need to address this issue if he wants to maintain his power-hitting ways. However, that doesn’t mean that he is destined to be a guy that strikes out too much in pursuit of his homers. Remember, this is only the first 44 games of his career against the best competition in the world. Many rookies struggle with plate discipline before they settle in and learn how to command the strike zone with a more discerning eye. All it will take is for Abreu to start laying off a few more pitches outside the zone and he could quickly become one of the most-feared hitters in all of baseball. The other issue that might pop up is his ability to stay on the field healthy for a full season. He has already landed on the disabled list with an ankle problem, and the calendar hasn’t even hit June yet. That doesn’t mean that he will be injury prone throughout his career, but it is something worth keeping an eye on. Great players are only valuable when they are on the field producing runs for their team. 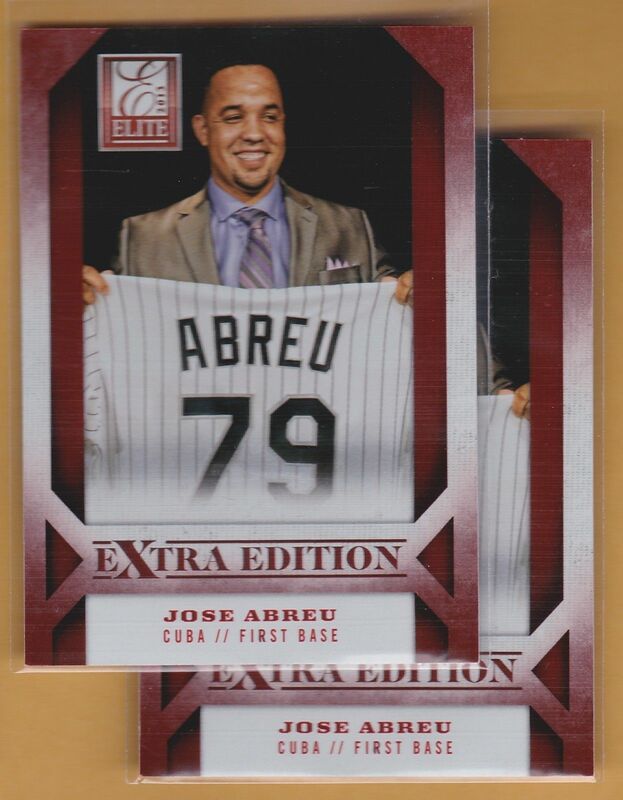 It is great to have exciting new players in Major League Baseball, and Jose Abreu fits the bill perfectly. If you are able to pick up one of his rookie cards before his name is known by baseball fans across the country, you might just have a great find and addition to your collection. The qualifying offer in Major League Baseball has become one of the most-controversial elements of the collective bargaining agreement due to its effects on many prominent free agents. When a player turns down a qualifying offer from his previous team and becomes an unrestricted free agent, there is compensation attached to him if he were to sign with another team. That team would have to forfeit a high draft pick to the previous team if they are to sign the player to a free agent contract. Among the more-prominent players that have been affected by the qualifying offer recently include Kendrys Morales, Stephen Drew, and Nelson Cruz. 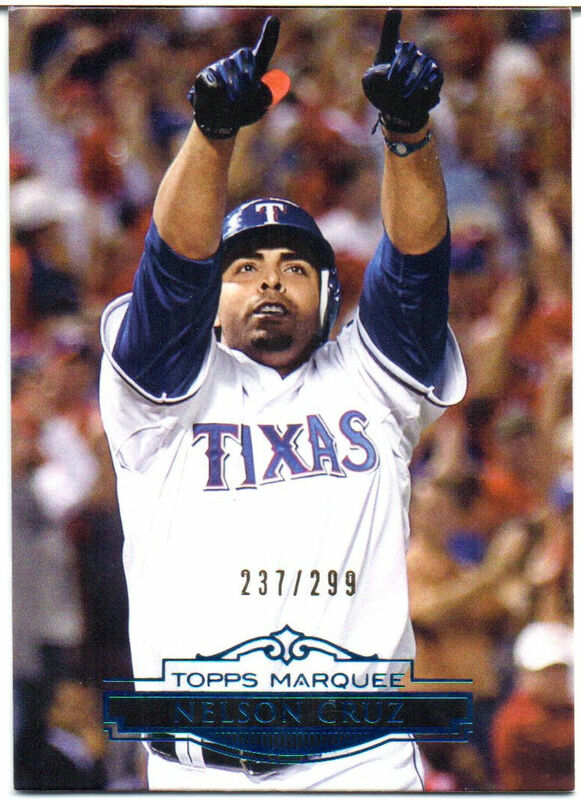 Despite being one of the more-productive power hitters in baseball over recent years, Nelson Cruz found his free agent market less than robust when he started shopping his services over the winter. Cruz initially had lofty expectations for his contact, but those hopes were dashed as the market started to take shape and it became clear that there weren’t as many suitors as Cruz and his agent had hoped. Without a doubt, the qualifying offer and associated draft pick had done some measure of damage to the kind of contract that Cruz could receive. However, that was not the only issue. Cruz had a suspension for performance enhancing drugs in his past, and doesn’t offer much in the way of defense to go along with his power at the plate. Those elements, when added together, made for a small market and fewer dollars than many expected. In the end, Cruz would take a one year contract from the Baltimore Orioles for just $8 million. His hope was that he could use the one year deal to build his value and make a larger splash next off-season. So far, that plan is working out beautifully. Through the first six or seven weeks of the 2014 season, Nelson Cruz has been powering the Orioles offense with an OPS north of .900 and a league leading home run total. 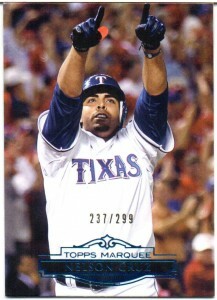 As far as $8 million contacts go, Nelson Cruz is giving the Orioles about as much value as possibly could be expected. At the moment, he is playing more like an All-Star than a one year contract recipient. Of course, that begs the question – can this kind of performance continue? The answer to that question likely has everything to do with health. If Cruz can stay healthy, he has a long track record of solid performance at the plate which would lead one to believe that he can remain highly productive all season long. At age 33 however, there is always the possibility that Cruz will break down at some point over the summer and have to miss part of the schedule. The Orioles, and Cruz himself, obviously hope that won’t happen. 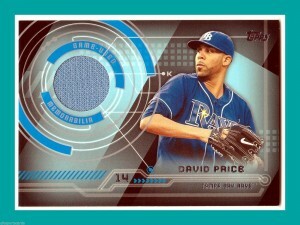 David Price is an outstanding pitcher by almost any measure. Through the first few years of his career, he has been one of the best pitchers in baseball, and even has a Cy Young award to his name. Twice he has struck out more than 200 batters in a season, and he has also twice posted a season-long ERA of under 3.00. When talking about the best starting pitchers in the American League, no conversation would be complete without mention of the hard-throwing lefty. All of that background makes the start to his 2014 season all that much more confusing. After ten starts, Price has posted an incredible combination of 77 strikeouts to only 6 walks. Usually, strikeout and walk numbers like that lead to great success – but that has not been the case just yet for Price. After those ten starts, his ERA is 4.28 and he has just a 4-4 W/L record to his name. There have been some excellent starts included in those ten, but there have been some less-than-excellent ones as well. Perhaps not coincidentally, the Rays have not had the start to the season that they hoped for, either. Picked by many to be a contender in the AL East this season, they have fallen to the bottom of the standings facing struggles with injuries and scoring runs. If the Rays are to fulfill preseason expectations and contend for a playoff spot, they will certainly need Price to return to his previous levels of performance. Is he going to turn it around? When faced with a case of a pitcher who is under-performing his career averages, it is always best to assume that he will resume his previous level at some point. That is certainly the right approach when it comes to David Price. One only has to look at the incredible strikeout and walk numbers that Price has posted so far in 2014 to see that things aren’t as bad as they might seem. If his actual pitches were not as good as they once were, it should show in his K’s and BB’s. In fact, the high ERA might come down to nothing more than plain old bad luck. There is some measure of luck involved in all of baseball, and certainly within pitching. If a pitcher gets a batter to hit a blooper – but it falls in for a hit – the pitcher is charged with a hit given up even though he managed to induce weak contact. Considering the fact that the season is still so young, it is very possible that Price is simply in the middle of a run of bad luck and that it will soon turn around for him and the Rays. If he keeps the strikeout and walk rate at such an amazing level, it is hard to imagine that he will keep allowing runs with such frequency. It will be one of the most-interesting stories of the 2014 season to see if David Price is able to average out the bad luck and start turning in the kind of starts that we have come to expect from him during his excellent career. Among the best starting pitchers in the National League, Jeff Samardzija is a right-hander who has had more than his share of headlines already this season. For one thing, he is a free agent after the 2015 season and it is widely assumed that the Cubs will use him as the centerpiece of a trade package that can be used to try and rebuild their team. Samardzija is a powerful young pitcher who should have many successful years ahead of him – and that kind of promise usually returns an impressive package on the trade front. 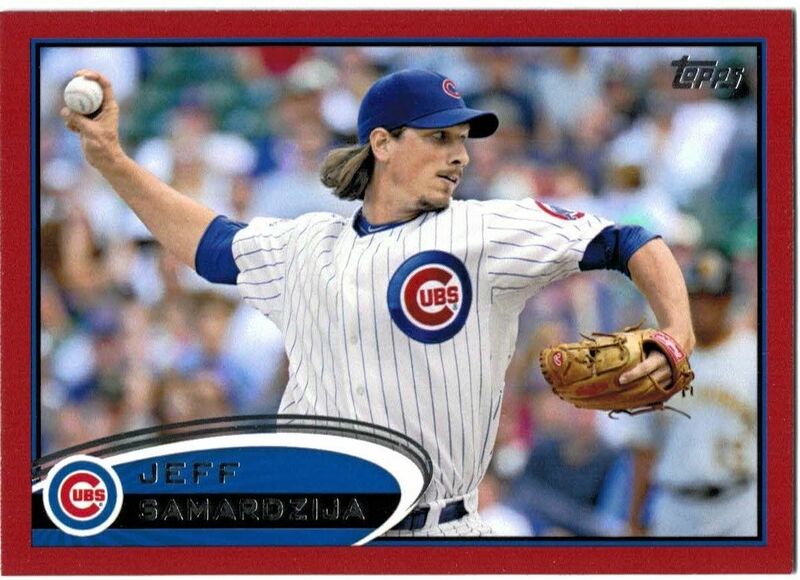 There is only one thing wrong with Samardzija’s profile so far in 2014, and it has absolutely nothing to do with his ability – he is yet to be crediting with winning a game. Thanks to the Cubs paltry offense, Samardzija has no wins and four losses to his record, despite having the best ERA in all of the NL after ten starts. Fair? No – it is not his fault that his team is unable to score enough runs to provide him with a few wins along the way. He is doing his part and then some – but the rest of the team isn’t holding up their end of the bargain. A reliever earlier in his career, Samardzija seems to be getting better with age. He already has 54 strikeouts through his first ten starts, and is getting deeper into the game than ever before. Any team lucky enough to land his services, should the Cubs decide to trade him, will be getting a starter than can be counted on for an excellent effort every five days. For the former Notre Dame wide receiver, the transition to baseball has gone about as well as could have been expected. When will he get traded? For most people, the question is when Jeff Samardzija will get traded, not if. The Cubs, of course, are not making their plans known, but a trade seems to make the most sense. The Cubs don’t appear ready to contend anytime soon, so using this valuable piece to get several young players is probably the wise way to try and jump start the franchise. For a team that feels they are only a pitcher away from a possible run to the title, investing some prospects in a trade to the Cubs for Samardzija might end up looking like a great option. However, since he isn’t a free agent until after next season, there is no guarantee that Samardzija will be moved before the end of July trade deadline. The Cubs will be in the enviable position of getting to sit back and listen to offers for their talented pitcher. If none of the offers are suitable for their needs, the Cubs can simply let him pitch out the rest of the season and wait until this winter to reassess their options. Considering the condition of much of the Cubs roster at the moment, what they decide to do with Jeff Samardzija will likely say a lot about the near future of the team they are able to put on the field at Wrigley.